AB Injury Law is renowned law firms that specialize in personal injury and tort cases within the Greater Toronto Area (GTA). We have won millions of dollars as compensation for our clients and have own innumerable cases over the years. Our team consists of expert legal professionals and has a proven track record while the clients understand our priority is winning their case and helping each one of them get justice. We are completely devoted to representing personal injury cases that include motor vehicle accidents, slip and fall cases, product liability and many others, which have led to orthopedic, spinal and brain injuries. Not only does it take away the joys of living but leaves you devastated both mentally and financially. That is why it is essential to contact us at AB Injury Law. Most of the Personal Injury Lawyers in Sault Ste. Marie work at our law firm and have extensive experience of working with different insurance companies. This has given them plenty of information about the insurance companies and offer quality insurance defense. This ensures that the information keeps us ahead of our competitors. Our team of lawyers has had success conducting trials in nearly all courts of Ontario, and has won some of the largest compensations. 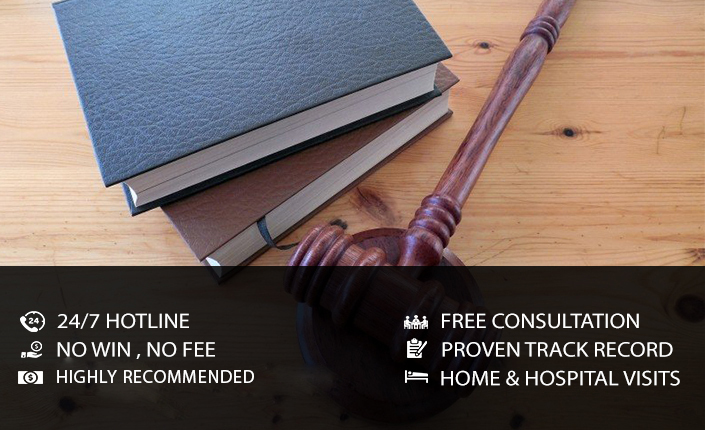 We work closely with medical professionals and if required, other injury lawyers in Sault Ste. Marie to ensure that there is no leeway in your recovery especially when there has been psychological trauma and severe physical injuries. To accommodate your recovery yet not waste any time in filing for damages, we are flexible and can visit you at the hospital, rehabilitation facility or even at home. That is because we care and understand that you may have limited mobility or are in no physical condition to visit our offices. AB Injury Law stands by our clients and ensures that they get justice. Most of the personal injury cases are daunting and complex and it needs faster action because the time lines are stringent. That is why it is best that no time is wiled away but contact us today. It is essential that we discuss your rights and entitlements especially when you or a loved one is dealing with severe physical and psychological trauma. Though it can be seemingly impossible to come to terms with debilitating injuries and unpaid medical bills, apart from years of rehabilitation, we ensure that you are compensated justly. Irrespective of the reason and nature of the accident which might range from car accident, medical malpractice or wrongful death, it is essential to get legal assistance from Personal Injury Lawyers in Sault Ste. Marie. AB Injury Law ensures that after the initial consultation, we put together a team of relevant lawyers on your case that to access all details after coordination. Only after all research and drafting has been completed that the legal presentation is done. Our legal team ensures that all aspects of the information and evidences are collected, the minutes of the discussions between the defendant and plaintiff and then start the process of negotiations or trial. It is a fact that most of the insurance company delay the compensation and deny the justified benefits so that their costs are reduced. However, it is our sole aim to ensure that you are compensated as per your injuries, loss of wages and other factors that come into play. Call us today to schedule an appointment and let us help you get the right assistance. There is no reason to suffer anymore, call now.